Secret recordings of closed meetings at the Republican retreat in Philadelphia this week were sent to the Washington Post from an anonymous source. All the quotes from the article were confirmed by the lawmakers or their offices. Members of Congress expressed doubts about the enormous task of repealing and replacing Obamacare ranging from: keeping premiums affordable for Americans, creating a smooth transition for the health insurance market, and whether to revamp Medicaid. Sen. Rob Portman (R-Ohio) warned his colleagues that the estimated budget savings from passing the Obamacare repeal bill — which could approach a half-trillion dollars — are needed to fund the costs of setting up a replacement. “This is going to be what we’ll need to be able to move to that transition,” he said. “The fact is, we cannot repeal Obamacare through reconciliation,” said McClintock. “We need to understand exactly, what does that reconciliation market look like? And I haven’t heard the answer yet.” “The fact is, we cannot repeal Obamacare through reconciliation,” said McClintock. The recordings reveal uncertainty about the scope of Obamacare’s repeal and replace, considering that with a slim Republican majority of 52-48 in the Senate, any Obamacare replacement must be passed with the aid of Democrats. 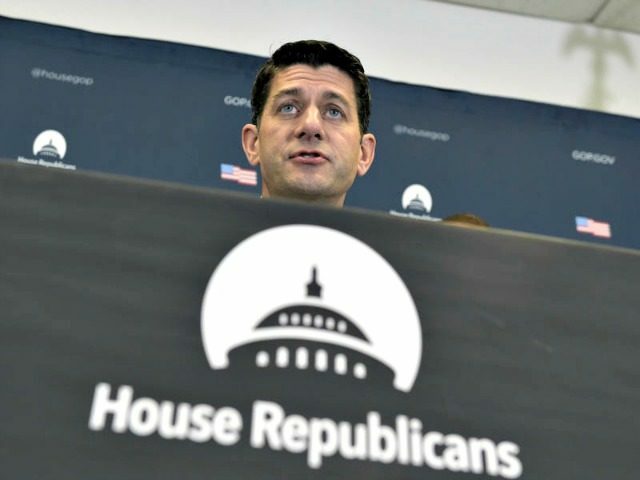 Paul Ryan and other Republican leaders plan to eliminate Obamacare through budgetary reconciliation, and then passing piecemeal reforms that address auxiliary parts of Obamacare. Many conservatives also disagree on whether to overhaul Medicaid and transform it from an entitlement program to a block grant. Trump aides such as Kellyanne Conway have advocated for block granting Medicaid. Even though many Republican lawmakers are concerned about Obamacare’s repeal, Congress will soon hold hearings and propose reforms in Congress.Republican leaders have already moved past their self-imposed Obamacare repeal date of January 27, wanting to have a more unified strategy. Chairman of the Senate health committee, Lamar Alexander (R., Tenn.) told reporters, “Plus we don’t want any of the repeal to take effect until there are concrete, practical alternatives in place.” The Senate Health Education, Labor, and Pensions (HELP) Committee will hold a hearing on replacing Obamacare on Wednesday, Feb. 1 at 10:00 am eastern. Between meetings of the Philadelphia retreat, House Energy and Commerce Committee Chairman Greg Walden (R-OR) assured CNN’s Jake Tapper that the Obamacare replacement will take care of patients with pre-existing conditions. “We want to make sure that people with pre-existing conditions continue to get covered,” Chairman Walden told Jake Tapper, “In fact, I’ll introduce a bill next week that will provide and reaffirm that commitment from Republicans.” The House Energy and Commerce Committee will hold hearings on Tuesday, Wednesday, and Thursday that will highlight reforms that may end up in the final Obamacare replacement package.